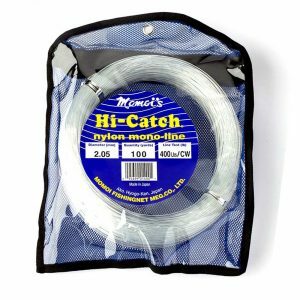 We reinforced the strength of Momoi’s standard product “Hi-Catch Classic” to develop this high-standard leader line, so that it can be used for the leader where line strength is especially required. 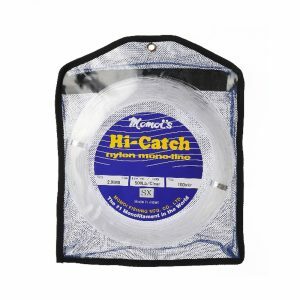 It takes full advantage of the strength that “Hi-Catch Classic” has, and it is perfect to use when you want to enhance your leader. 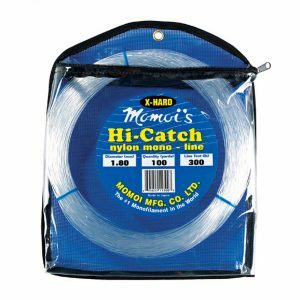 A strong leader line that prevents you from line break by pursuing “strength and hardness” to the maximum, which is especially required from game fishermen. It is a leader line that you can actually feel its high perfection level, with essences of Momoi’s technique concentrating into the product. A leader line developed by further reinforcing the strength and hardness of our Xtra Hard Leader. With strength and hardness increased by 20% compared to the Xtra Hard Leader, it is the most powerful leader.